However, some basic knowledge of the area before you go can significantly increase your enjoyment of your visit to the region. By following these simple guidelines, you can help preserve the unique environment and ancient cultures of the Himalayas. Campsite : Remember the other party will be using the same campsite after you have vacated it. Therefore, leave the campsite cleaner that you found it. Make no open fires and discourage others from doing so on your behalf. Where water is heated by scarce firewood, use as little as possible. When possible choose accommodation that uses kerosene or fuel efficient fire-wood stoves. You will help the cause greatly by taking with you some samplings and planting these on your trail. 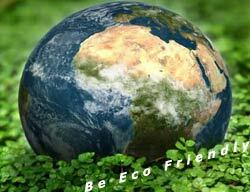 Bury other waste paper and biodegradable material including food. Carry back all non-biodegradable litter. If you come across other people's rubbish, remove their rubbish as well. Keep local water clean and avoid using pollutants such as detergents in streams or springs. If no toilet facilities are available, make sure you are at least 30 meters away from water sources and bury or cover wastes. Taking cutting, seeds and roots is illegal in many parts of the Himalayas. Do not allow the cooks or porters to throw garbage in the nearby stream or river. Respect local traditions, protect local cultures, and maintain local pride. Ask permission and use restraint. Preserve what you have come to see, never touch or remove religious objects, remove shows when visiting temples. A donation to a project, health center or a school is a more constructive way to help. YOUR KIND OF A HOLIDAY DESTINATION ? Mussoorie Tour Packages © Copyright 1 9 9 9 - 2 0 0 8. All Rights Reserved.